DONEGAL TD Pearse Doherty has hit out at Government proposals to offer new tax breaks to attract skilled workers to Ireland – accusing Michael Noonan of behaving like ex-FF Finance Minister Charlie McCreevy. The measure, which is contained in the newly published Finance Bill, is designed to ensure that investors in Ireland can get the skilled employees they need to create jobs here. Michael Noonan said he is introducing the tax break at the request of the IDA and Enterprise Ireland who say Irish-based companies need the incentive in order to compete for skilled labour. 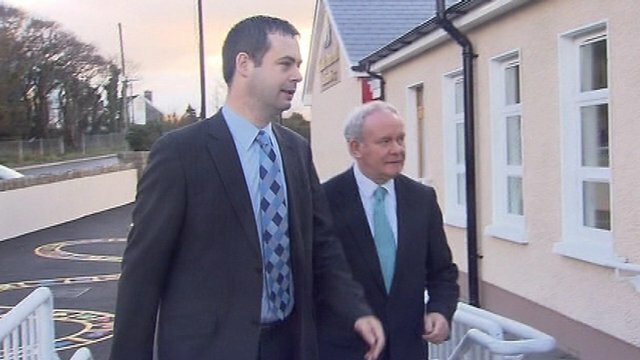 However, Sinn Féin’s Pearse Doherty has said the measure will cost Irish workers jobs. Mr Doherty said: “Unbelievably, they have introduced this tax relief which is straight out of the book of Charlie McCreevy which allows somebody from abroad who works in a company to come in here and earn a tax break of up to 30% on income above €75,000 and less than half a million euro. Mr Noonan has rejected Mr Doherty’s claims that the measures will cost Irish jobs. Mr Noonan said Mr Doherty has the wrong end of the stick and that the move will drive job creation. The Finance Minister said: “He doesn’t understand the scheme. He should read the bill as published and explanatory memorandum.